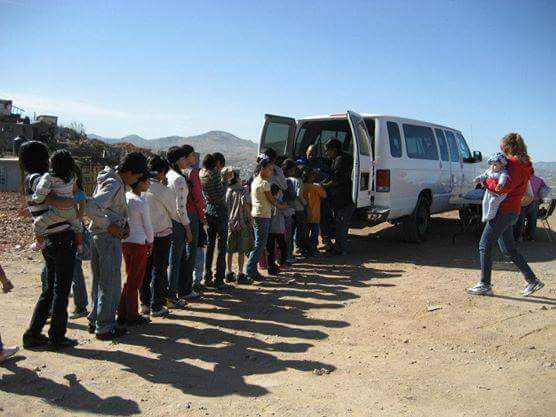 Volunteers are photographed loading children into the van after feeding them and having a worship service. N.A.N.A. ministry feeds thousands of children every month.